Hero stories are an important part of every child’s upbringing. Wonderful examples of courageous, patriotic and self-sacrificing heroes can be found in myth, fable, fantasy, history and biography. Such stories help children learn to live virtuous lives. They expand the heart and the imagination, and can engage young people in conversations about greatness and humility. The two novels featured here are the debuts of two fantasy-adventure series for middle readers. Each offers engaging stories and characters that provide both great entertainment and lessons in justice, prudence and fortitude. Rick Riordan, acclaimed author of the Percy Jackson & The Olympians chronicles, continues to excite his loyal fans with his new Heroes of Olympus series. And mythology has never been so cool. 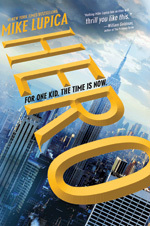 “The Lost Hero,” the first book in the Heroes of Olympus series, is a spin-off from the five-volume Percy Jackson stories. Folks who haven’t yet read Percy’s adventures can enjoy this story just as much as those in the know, but will likely wish to go back and read Riordan’s earlier work because “The Lost Hero” is just so darn fun to read. In the opening of the story, Jason wakes up in the middle of a Wilderness School field trip to the Grand Canyon not knowing who he is or how he got there. Someone named Piper is holding his hand and claiming to be his girlfriend. A stranger called Leo says he’s Jason’s best friend. Is this for real, or are these two just as disconcerted as Jason? There is no time to ask questions because suddenly the three teens and their teacher, Coach Hedge, are under violent attack. Most of us are diagnosed with attention deficit disorder or dyslexia or both … It’s because we’re hardwired for battle. Restless, impulsive – we don’t fit in with the regular kids. Together, the trio must battle storm spirits, Cyclopes, dragons and the gods themselves, while also wrestling with their personal demons – Jason’s inability to remember his past, Leo’s feelings of guilt and inadequacy, and Piper’s desperate desire to save her father - which tempt them away from virtue and threaten to destroy them. Riordan weaves an enigmatic story where there are more questions than answers. 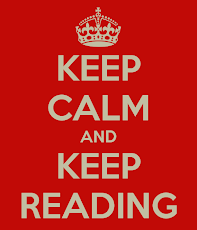 Readers do not get frustrated, though, because the pacing is quick and the battle scenes are intense and frequent. Each main character has a distinctive and complex inner life which makes him seem real and recognizable, reminding readers of people they might know at school. 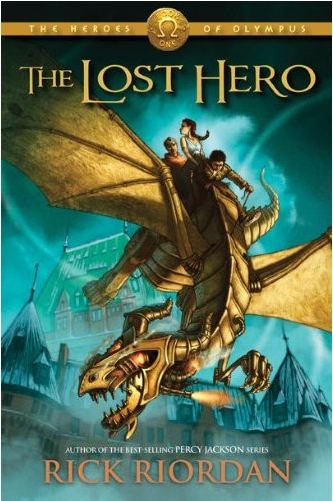 “The Lost Hero” is an exciting book and is hard to walk away from when homework beckons. Look for volume two, “The Son of Neptune,” which is being released this month. Zach Harriman, 14, appears to be like a lot of kids his age. He does well in school, likes the Knicks and loves his parents. He just happens to have a famous dad whose job as a “troubleshooting diplomat” for the president keeps him away from Zach more than either of them would like. Life changes quickly when his father dies under mysterious circumstances. Zach begins to discover that he has special powers, that his dad also had superhuman powers, and that “the Bads” are real and are now targeting him. Zach must take on the role of hero in order to save from harm those he cares about. “All of my books are about kids getting knocked down and then showing readers what they are made of by getting back up,” says Mike Lupica in an interview for the Chicago Tribune. This book has everything that appeals to a young reader: action, suspense, family ties, politics and sports. Some readers may find it a little frustrating because the book is truly just the opening of a saga that will play out in future books in the series. There are a lot of questions the reader is left to ponder, and there is much anticipation created for future installments. Most readers, however, will enjoy the suspense and will eagerly await a second volume. Don't be turned off by the creepy new cover. If you haven’t read this, or the other Chronicles of Narnia, you are missing out on one of the greatest series of hero stories in children’s literature. This book is the prequel to “The Lion, The Witch and The Wardrobe,” and it tells how Aslan created Narnia and how evil came to threaten it. It is the story of Digory and Polly, two friends who are bored with life London one cold, wet summer at the turn of the century. There is nothing out of the ordinary about the two children: they are not descended of gods; they have no special powers. Yet when placed in extraordinary circumstances, these children must rely on the virtues they have been brought up with in order to correct their mistakes and face down evil in this grand adventure that takes them far from home. 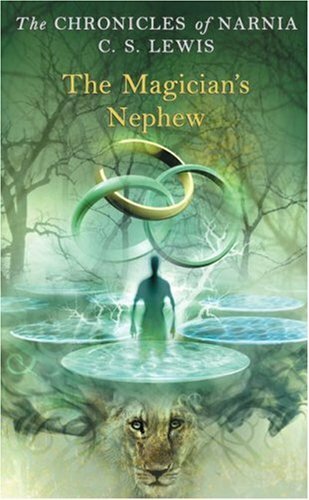 Digory’s Uncle Andrew is an antihero -- self-serving and cowardly -- who has been dabbling in magic and has created a set of rings that will transport anyone who touches them to a “Wood between the Worlds” – a gateway to places beyond our universe. He tricks Polly into taking a ring and she instantly vanishes. It is then up to Digory to summon the courage to go after her, and when he does so, the children end up exploring places they couldn’t have imagined. In a terrible world called Charn, Digory lets curiosity get the best of him and awakens an evil witch who is then loosed upon the newly created, innocent world of Narnia. He is given a quest to atone for this mistake. It is Digory's courage and his ability to overcome temptation that transports them home and there saves the life of his ailing mother. Great heroes abound in the Chronicles of Narnia. M. D. Clark wishes she could write stories like the three authors featured here. But because she cannot, she appreciates their talent so much the more.